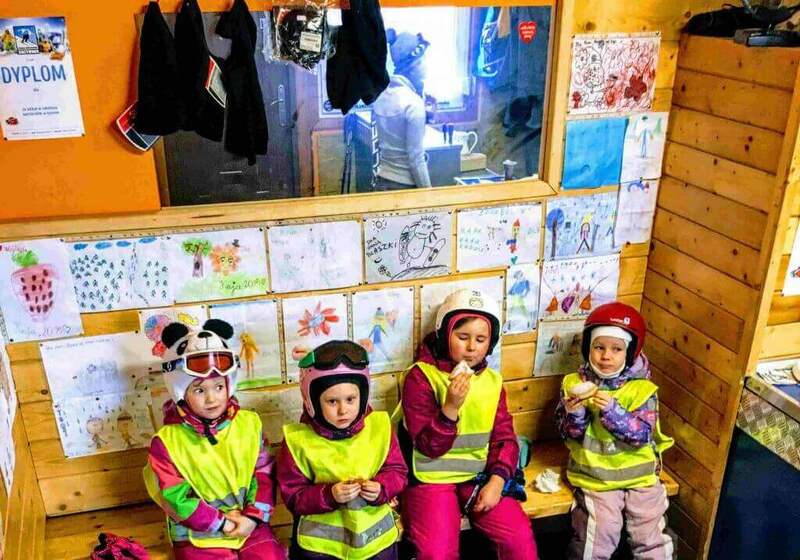 Ski kindergarten Szczyrk SkiTown – Group classes for children. 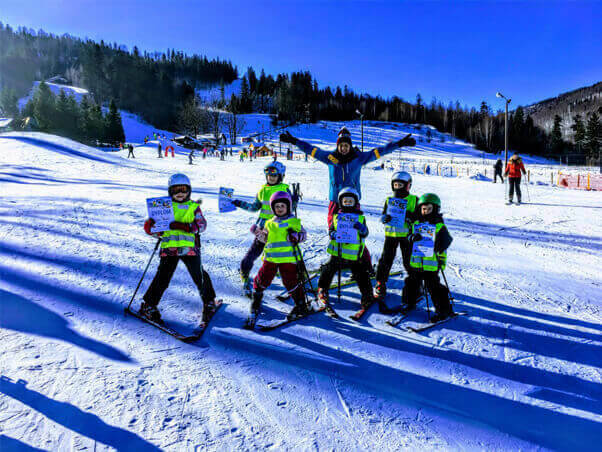 In the winter season 2017/2018, the Skitown ski school organizes a ski kindergarten in Szczyrk. We offer activities for small lovers of skiing madness under the active eye of instructors. activities suitable for those who have already acquired certain ski skills. People who just want to start the adventure with skiing are invited to individual lessons, after which they can join the group. Our school is situated at the children’s slope “krasnal” (lit up to 21 o’clock) at the Szczyrk – czyrna ski lifts complex. During classes parents can take advantage of the offer of these facilities. Why do we start so early? With a view to the safety of the students and the quality of the busy hours, between 9 and 12 have fewer people on the slope. Classes are conducted daily throughout the whole period of holidays. The student can join the group by buying a course for a minimum of 3 days !!! 29.01.2018 — 04.02.2018 – 2 wolne miejsca !!! 05.01.2018 — 11.02.2018 – 3 wolne miejsca !!! 12.02.2018 — 18.02.2018 – 3 wolne miejsca !! !